The compound miter saw is a precision cutting tool that gives woodworkers the ability to accurately cut bevels, miters or both at the same time. The miter saw also excels at square-cutting the ends of boards so that they're at a uniform length. These traits are useful for many woodworking projects, such as those featured below. The Adirondack chair is a popular type of wooden chair used outside on patios, decks, and backyards. In this unique woodworking project, take the Adirondack chair one step further. 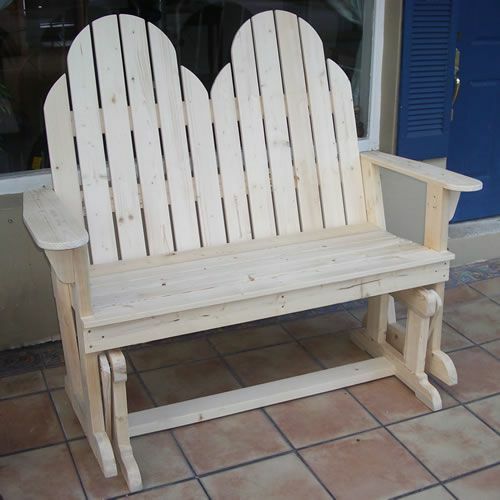 With these free woodworking plans, you can build a loveseat glider rocker built for two with the unique comfort and lines of the Adirondack-style chair. This is a fun and challenging project, and it makes a great addition to any outdoor seating area. Nearly every woodworker has built a bird feeder at some point in his or her time working with wood. This set of free woodworking plans shows how to build a classic bird feeder with a flip-top roof, plexiglass sides of a see-through reservoir that funnel the bird seed from the reserve area to the feeding troughs and a rounded roost on each side of the feeder upon which the birds can perch. This is a fulfilling project for any woodworker to build and display at their home. Here's another great project for your backyard. A picnic table is always a great-to-have for those comfortable days of spring and summer, but this unique picnic table is two feet longer than the traditional six-foot table, allowing up to eight people to eat at the same time. Every laundry room, garage and storage shed needs shelves for housing items that you'll want to store safely. Just because they're utilitarian, they don't have to be unattractive. These shelves use common shelf brackets with plywood shelving wrapped in mitered hardwood trim for an attractive, strong shelf that you'll be able to put in any storage area. 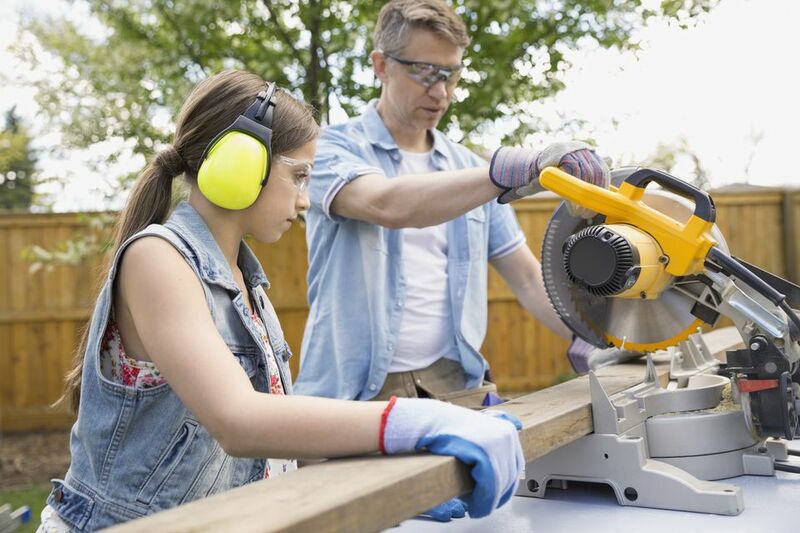 As you know, a miter saw is great for cutting the ends of boards, but most miter saws cannot accommodate long pieces of stock without external supports. In this set of woodworking plans, build a portable stand-alone miter saw stand that breaks down into six pieces, but when assembled, can accommodate boards of up to 8-feet on each side of the miter saw. You'll wonder how you ever used your miter saw without one! If you have a shed, garage or, dare we say, barn that needs doors, check out these two-piece traditional barn door plans. With these doors, you can close the bottom half of the door while leaving the top half open for ventilation, or open or close the doors completely. These doors are relatively simple to build and look fantastic, especially if you use rough-cut lumber to finish the door trim. If you have trophies, photos or other memorabilia that you want to display attractively, take a look at these knick-knack shelf plans. This lightweight shelf is attractive and has three shelves for showing off your favorite pieces. In these free woodworking plans, learn how to build an attractive oak mirror frame that accommodates a full-length wall mirror. The oak is finished using a very attractive shellac finish, giving the entire piece a classy touch that will be perfect for nearly any bedroom or dressing room. It seems that nearly every store now uses plastic bags for carrying customer's goods home from the store. These plastic bags may be a nuisance to landfill operators, but they have numerous uses once you get them home. In this project, build a handy storage container for saving these bags and distributing them when you need one for cleaning up after a puppy, carrying home a wet swimsuit and more.